The color on the website is the true color of the candles. I placed them on my doing room table for spring! Great addition to my Waterford crystal candlestick holders. Bride to be loved it. Recited poem. Advantages: Everything all together. Originally I was looking for each color candle separately!! Then thankfully found keystone on line. Disadvantages: Would have liked a wider box that would have displayed the candles better. Beautiful scent. Fast delivery. Perfect packaging. Advantages: Perfect for my arrangement!! These are beautiful and seem sturdy. Smaller than I had thought, but that is my own fault. These have a wonderful scent that made our home smell warm & inviting! Love these!! 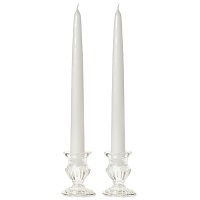 Advantages: They burn very evenly & have a strong, consistent scent even after multiple lightings. These are by far my favorite candle from Keystone! They smell wonderful & burn evenly. This are cute candles but the color isn't as vibrant as pictured & they don't fit the holders I purchased at the same time from keystone that are supposed to hold these. Advantages: Smells awesome and burns evenly throughout. Disadvantages: They seem to burn fast. However, I burn them for 6 - 10 hours at a time. Advantages: Finally found a 6x9 pillar candle again! Great bayberry scent! Quick shipping. I ordered a 6x9 green bayberry scent pillar. I love it,of course. I'm just really happy to actually have found that large of candle again. Keystone has good quality candles and I'm happy with the scent as well. Even though this is more of a fall scent, I love it all year long! Smells fantastic and it fills the whole first floor of my house. This is my second time ordering from Keystone Candle and I’ve been happy with both purchases! Thank you for making a good product. I am very disappointed in my candle. There's no prominent scent at all. I emailed you a week ago indicating my displeasure. I am very disappointed in my candle. I emailed you a week ago. There's no prominent scent. 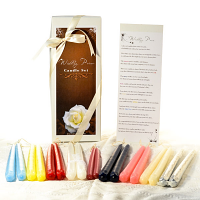 Advantages: It’s good to have a company selling all the color candles needed at good prices. Disadvantages: The shipping and handling is a little high, but I will be ordering again! I love your candles. I use a candle warmer instead of burning them and they put a wonderful scent throughout the house and are long lasting. Very reasonably priced too. Great summer smell, reminds me of the beach. Great candles!